Need to get this beauty sold! Stop in and check out this beautiful home with upgrades galore. Lush landscaping with cement curbing, a large tiled front porch and a glass entry door welcome you into the open floorplan. There is also an additional screened glass entry door for cooler days. The kitchen has been completely redone with exotic granite countertops & backsplash, stainless steel lg appliances, wooden cabinets with molding, light rail, undercabinet lighting and a touchless kitchen faucet. Enjoy the beautiful florida weather on your travertine deck with custom salt water pool. Includes sunshelf with bubbler, 3 turtle mosaics, dolphin water feature, color led light, auto-fill and auto-drain. Enjoy your pool all year round with both a solar heater and electric heat pump. There is also a roll-down shutter on all three sides of the covered lanai. Both bathrooms have been completely updated with new granite, tile, cabinets, hardware, lighting and high toilets. The spa-like master shower has multiple showerheads and body jets. New carpet and new well pump in november 2018. The beautifully landscaped yard includes a fence and automatic sprinklers. 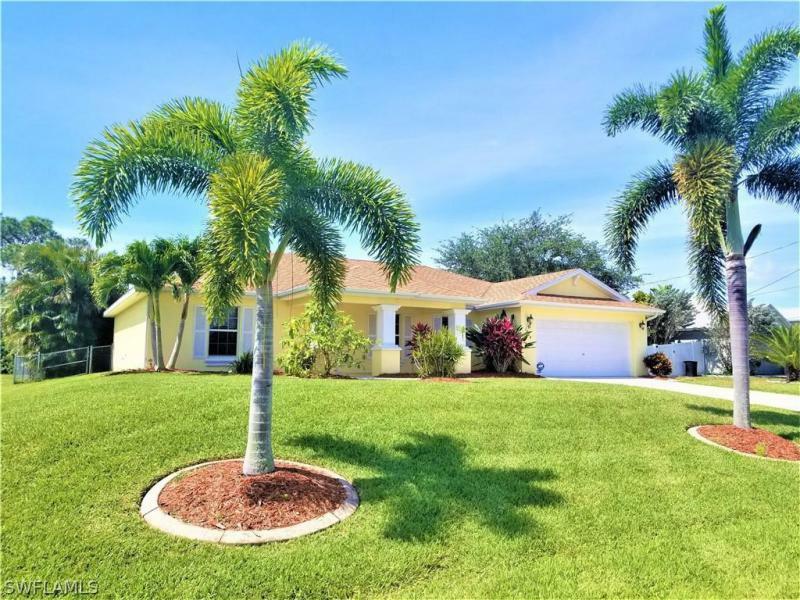 Don't miss out on this florida gem! For more information or make an appointment to see property ID 219002126.